Papi esta en la casa!!! After a long trip I’m back in Peru. Posting on this corner of the blogosphere should resume its normal trickle. 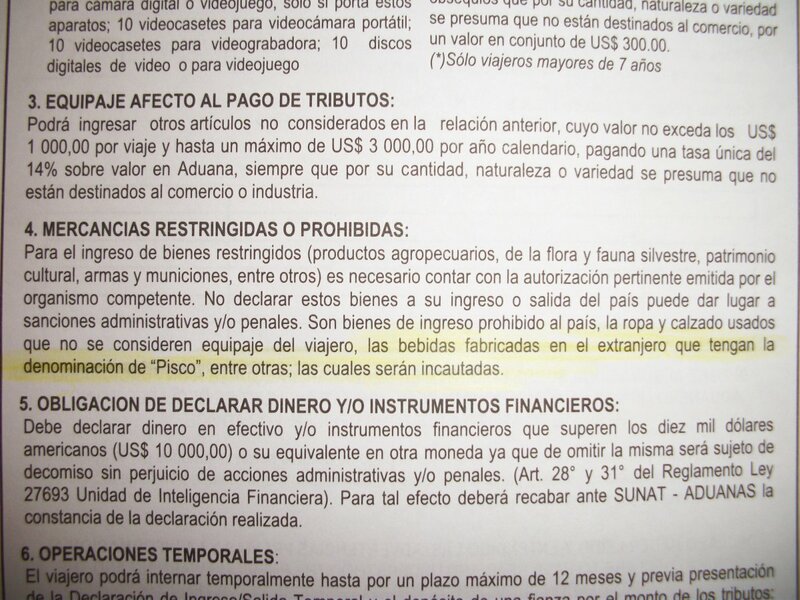 So any foreign (read: Chilean) made Pisco will be confiscated if you try to bring it into Peru. Pisco Sour is of course the national drink of Peru, and the unhappy word on the street is that Chile has claimed to produce Pisco as well. This entry was tagged customs, Peru, pisco. Bookmark the permalink.